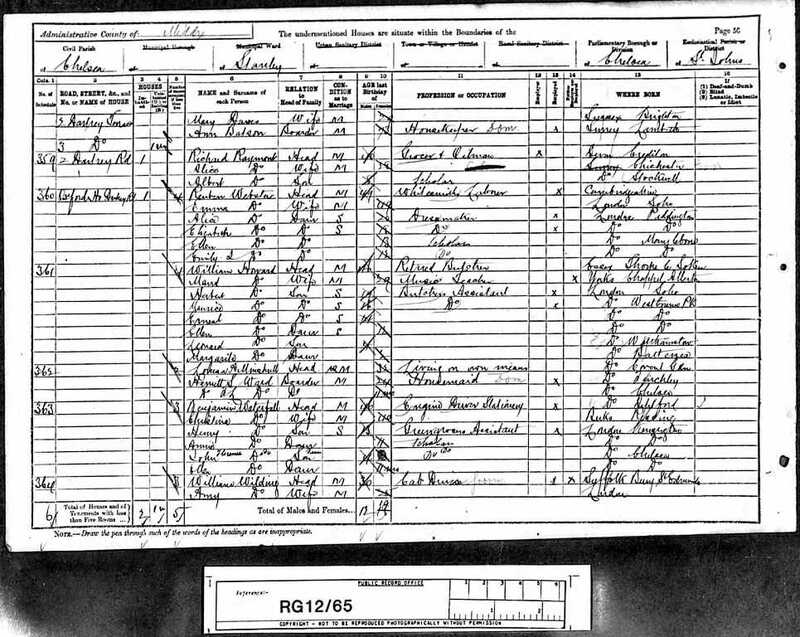 [S2] Birth Indexes, (Ancestry.com), March 1878 Kensington 1a 185. 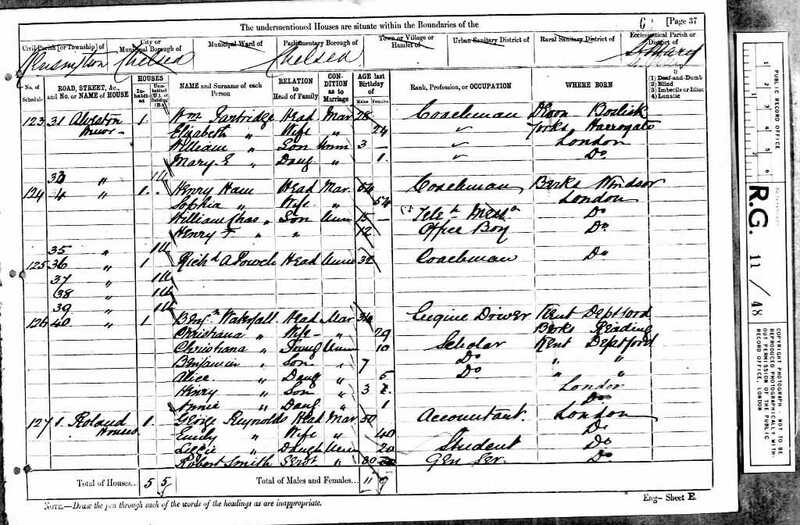 [S6] 1891 Census, (Ancestry.co.uk), RG12., RG12/65 Folio: 80 Page: 49 (Reliability: 2). [S7] 1901 Census, (Ancestry.co.uk), RG13., RG13/79 Folio: 76 Page: 51 (Reliability: 2). 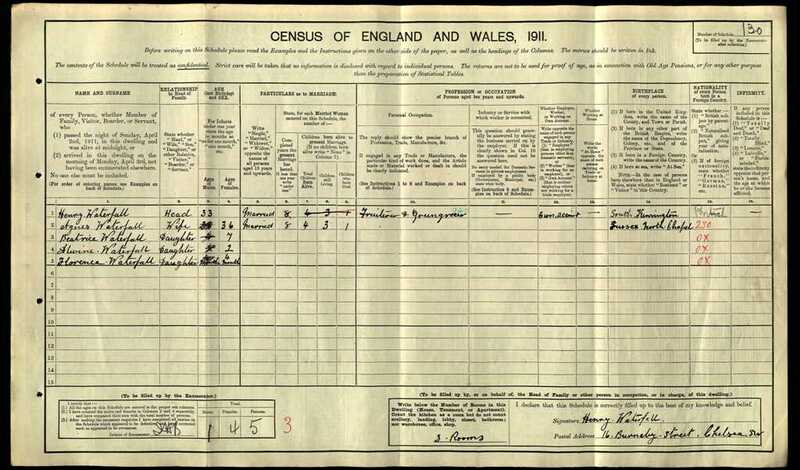 [S43] 1911 census, (Ancestry.co.uk), RG14., RG14/409 RD: 4 SD: Chelsea Sout ED: 12 SN: 130 (Reliability: 3). [S1] Death Indexes, (Ancestry.com), March 1954 Westminster 5c 442. [S3] Marriage Indexes, (Ancestry.com), December 1902 Chelsea 1a 849. [S44] Marriages, St John, Worlds End, P74/JN, Item 014. 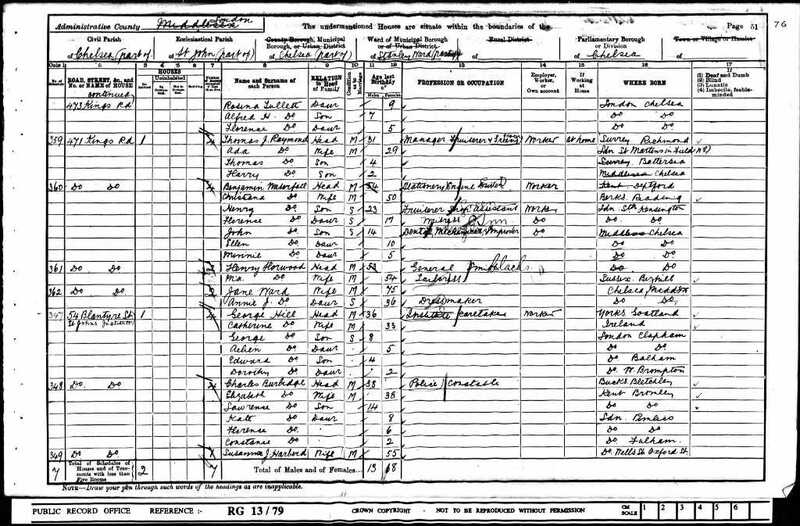 [S43] 1911 census, (Ancestry.co.uk), RG14., RG14/409.